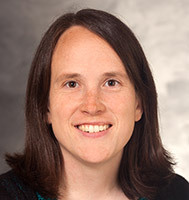 Kimberly is an certified Prosthetist Orthotist at UW Health. She graduated from Michigan Technological University with a Bachelor of Science degree in Exercise Science and a minor in Psychology. She then attended graduate school at the University of Washington in Seattle to attain a Master's degree in Prosthetics and Orthotics. Kim completed her orthotics residency at the University of Michigan, Ann Arbor, MI and a prosthetics residency in Green Bay, WI. She practices orthotics at the UW Health Outpatient Orthotics and Prosthetics Clinic in Middleton.